Child Nutrition in the World Today…What we need to know? 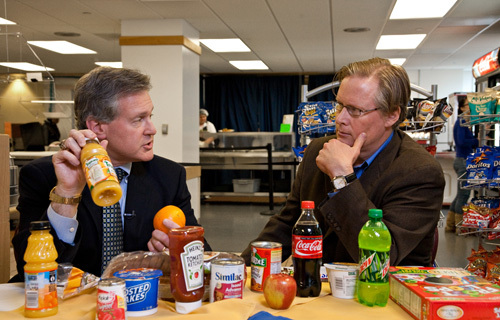 Yesterday in Santa Cruz, US Congressman Sam Farr and CA Assemblyman Bill Monning spoke with UCSF Pediatric Endocrinologist Robert Listig, about the current nutritional crisis and it’s impact on our children and our world. This entry was posted in Nutrition and Feeding and tagged Nutrition. Bookmark the permalink.